AFC - 08/24/11 Vegetarian Tourists do not Eat Fish! 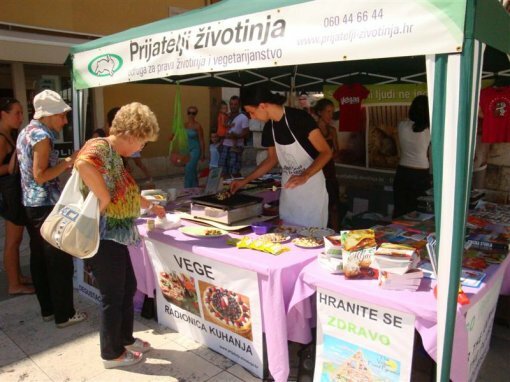 This year, Animal Friends, a member of the European Vegetarian Union, continues with actions to warn about the necessity of developing gastronomic offer for vegetarians and tourists who have ecologically, health, and ethically advanced views, as an important part in promoting Croatian tourism and culture. 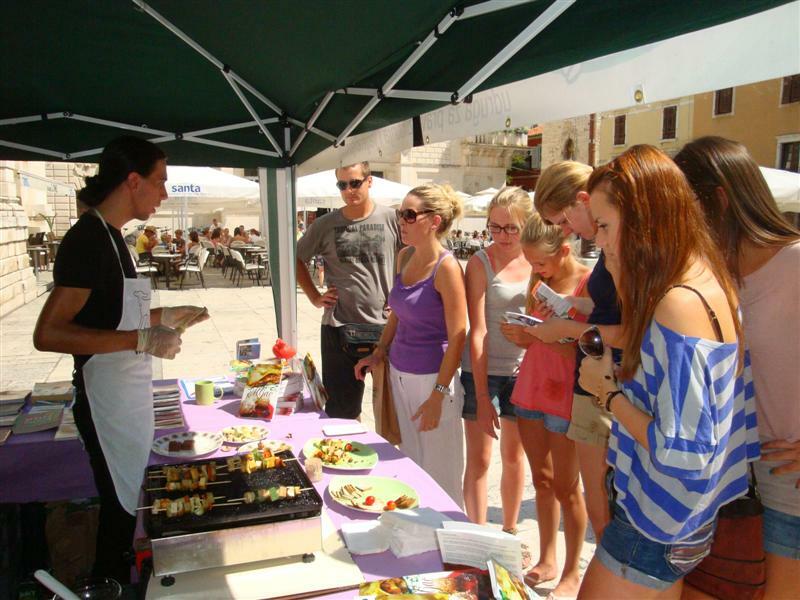 Although the number of vegetarians in Croatia and the world is continually growing, many Croatian caterers still do not know that vegetarians do not eat meat and fish, many not even eggs or milk, while vegan vegetarians eat exclusively plant based foods. 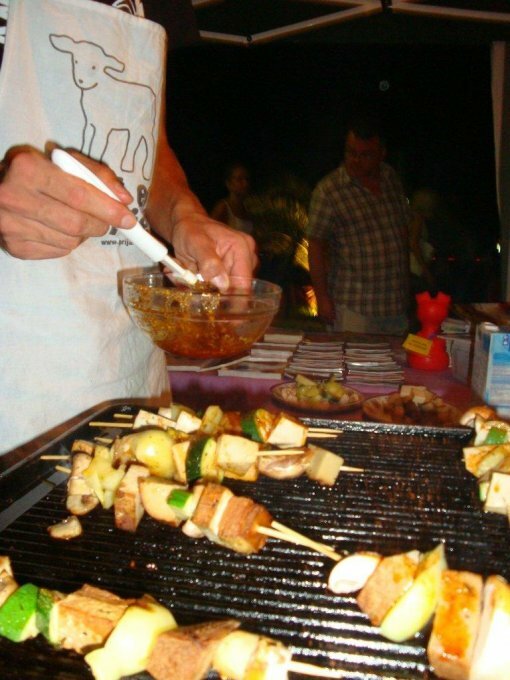 Caterers, especially in restaurants along the coast, often embarass themselves by offering fish to vegetarians, which shows a lack of information on the diet of tourists and lags behind the developed tourist destinations in the world in gastronomic education. 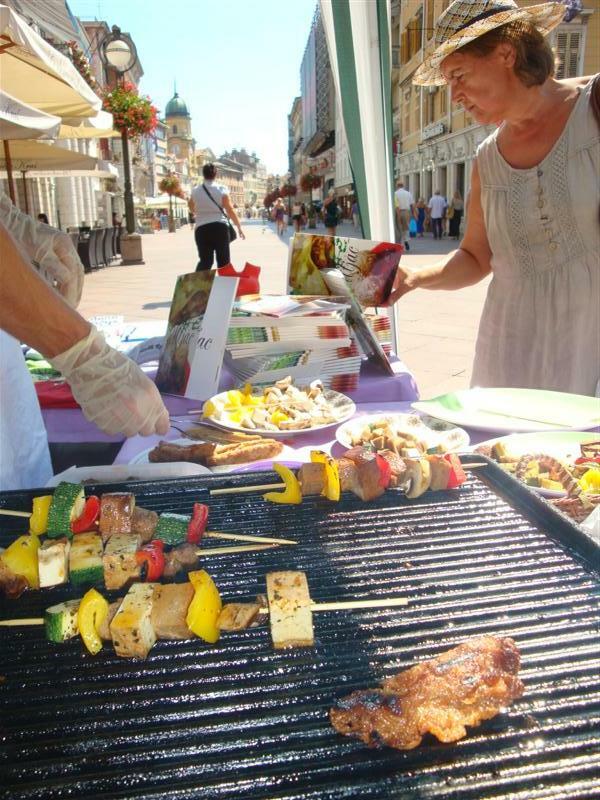 Vegetarian tourists expect a appropriate food offer on the holiday they have paid for, in accordance with their life style. If they are denied such an offer, they will spend their next holiday somewhere else. As well as foreign tourists who are looking for the vegetarian offer, more than 150,000 vegetarians and vegans live in Croatia, who also spend their holidays on the Croatian coast and are also denied a quality holiday without worrying about food. They spend their days looking for vegetarian products and a vegetarian catering offer, which makes their holiday very strenuous and unpleasant and makes them spend their holiday outside of Croatia. As well as vegetarians and vegans, there are more and more people who, for their health, ethical or ecological reasons, do not wish to eat certain animal based foods and expect an offer with more than one fruit, vegetable and grain meal, instead of the traditional barbecued meat and fish. 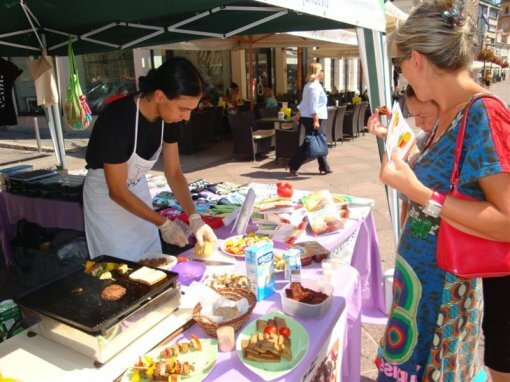 Therefore Animal Friends organizes info stalls with tastings of vegan foods, like the ones vegetarian and vegan tourists, people suffering from allergies and those who occasionally want to have a meatless meal, expect on their holiday. Info stalls and tastings will be held in Rijeka on the Korzo on Wednesday, August 24; in Zadar on the Narodni trg on Thursday, August 25, at 12 noon, and in cooperation with the City of Biograd and the animal protection organization "Anima," in Biograd on the waterfront on Thursday, August 25, at 7 P.M. Citizens will be able to taste appetizing vegan dishes like kebabs, baked tofu and seitan, healthful and delicious seasonal vegetables, mayonaise without eggs and plant milks, and some dishes will be prepared on site. 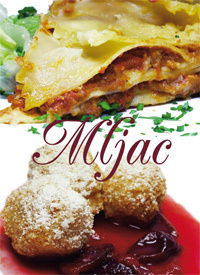 New vegan cook book Mljac, published by Dvostruka duga and Animal Friends, will also be promoted. The cook book relies on classical Austrian cuisine and meals prepared in our country as well. 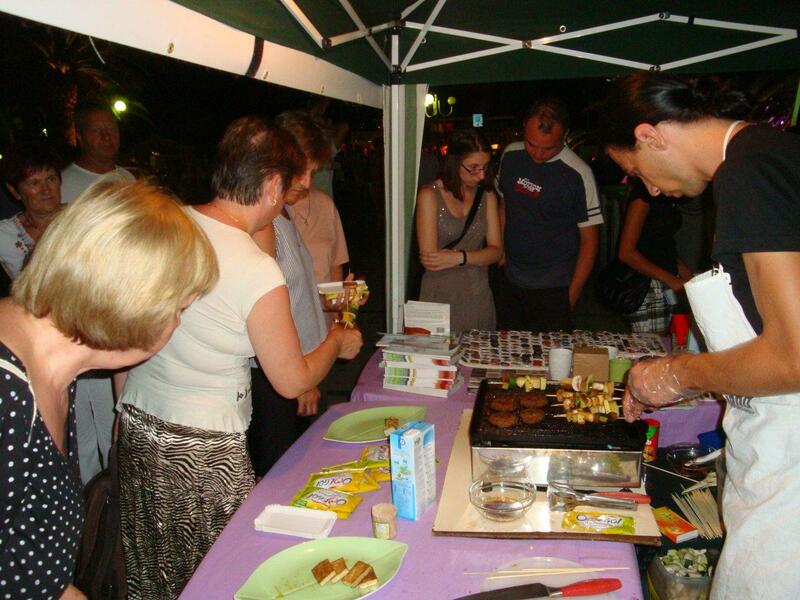 That makes it additionally interesting and useful, considering the demand by foreign vegetarian and vegan tourists. The cook book offers more than fifty excellent recipes for Vienna stake, stuffed peppers, stuffed cabbage rolls with baked potatoes, lasagna, bean and sausage stwe with dumplings, tiramisu, pancakes with chocolate, hazelnut cake and other delicious meals. Appetizers, main courses and desserts, based on vegetables, grains and fruit, will satisfy the most demanding gourmet demands. All members of the media, interested in representing Mljac cook book, can get a copy of the book. 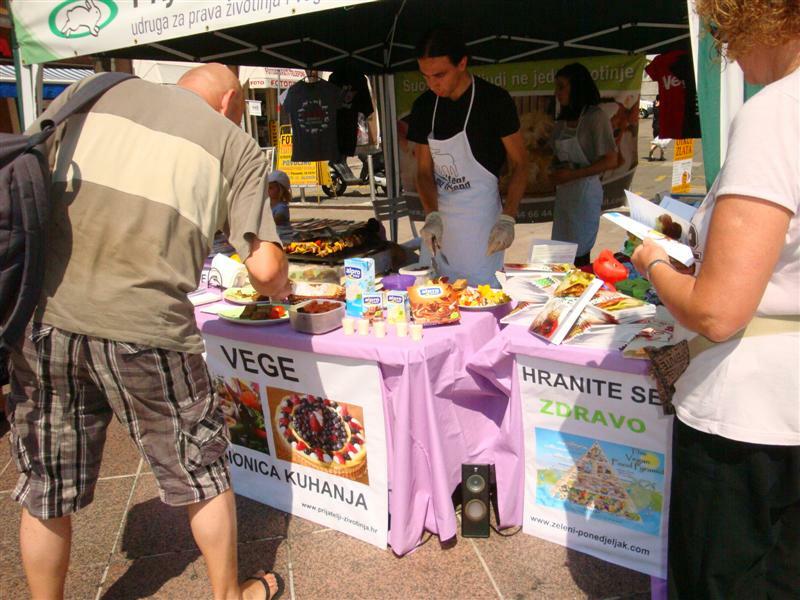 According to an independent survey, as many as 73 per cent of citizens think that it is neccessary to improve the vegetarian offer, and all visitors of our info stalls will be able to express their support by signing the petition to introduce vegetarian meals in Croatian public institutions, like hospitals, schools and kindergartens. 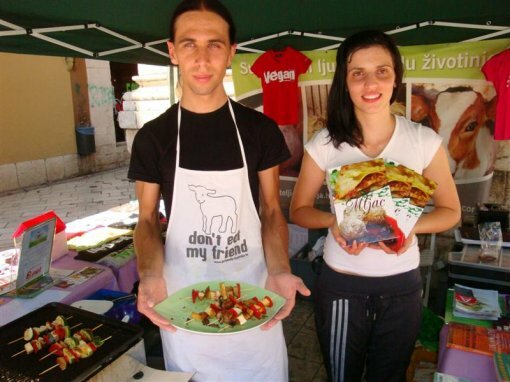 With the aim of making it easier to find plant-based products, Animal Friends has published an on-line Veggie Guide which contains detalied information on vegan products in Croatia. "Tourists are vegetarians, too" campaign and the cook book Mljac are realized as part of the Grundtvig project and in collaboration with FARM - Farm Animal Rights Movement.